Bio: Daniel Buckley has worked as a newspaper and magazine writer, communications expert, consultant, composer, videographer, still photographer, documentary maker, audio engineer, music critic, radio personality and member of the Tucson Citizen’s editorial board. 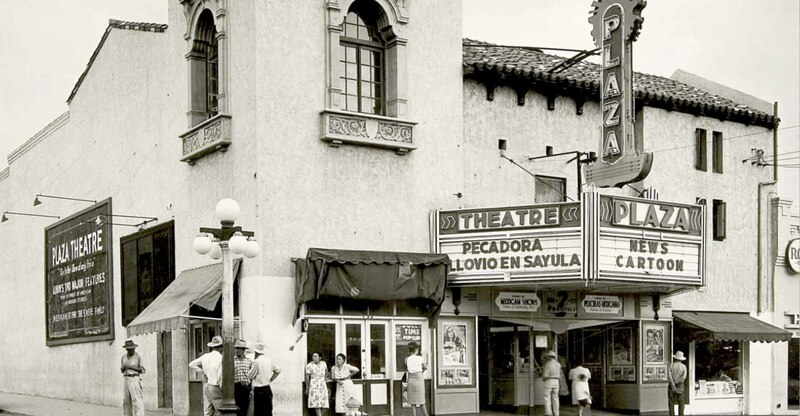 In 2010 Buckley produced, shot and edited the Cine Plaza documentary series about Tucson’s long-gone Spanish language theater, and the community that loved it. The documentary went on to be voted Favorite Film by audience members at the Mountain Empire Film Festival in Patagonia. Since that time, three more short documentaries have premiered in the Cine Plaza at the Fox series on topics ranging from old barrio neighborhoods in downtown Tucson to the urban renewal experience of the 1960s, and Barrio Hollywood. A fifth Cine Plaza documentary – the first full length film in the series – premiered in 2012, centered on the last of Tucson’s great Latino ballrooms – the El Casino Ballroom. A sixth Cine Plaza documentary, on the rise of the mariachi movement in Tucson, is in production now. Play Ball” Cactus League exhibit, and a large-scale documentation of the centennial exhibit, “100 Years, 100 Quilts.” In 2013 he completed a new video on the history of Yuma, Arizona for AHS. 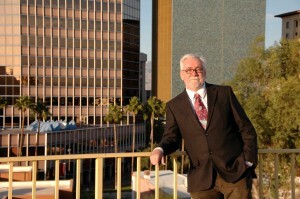 In 2012 Buckley was contracted as the official videographer of the Arizona centennial website – arizonaexperience.org. 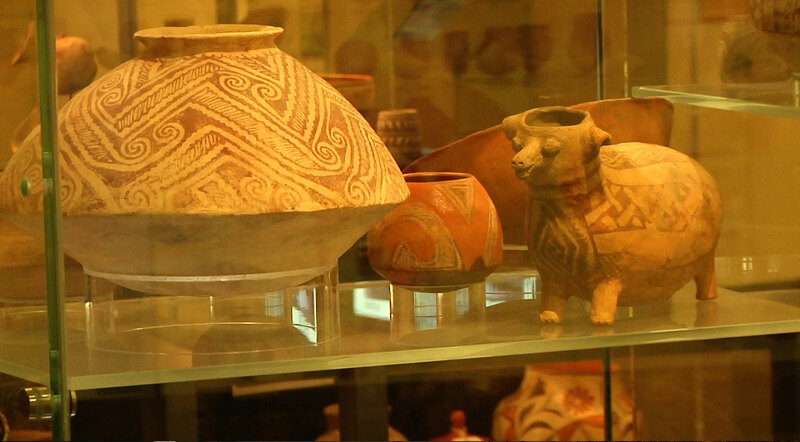 Work with the organization is taking him around the state to document topics technical, historic, educational and artistic related to where the state of Arizona is now and where it is heading. Buckley has produced videos for Pima Council on Aging, the Tucson Home Show, Ballet Folklórico Tapatio, the Tucson Flamenco Festival and more. He has created videos for exercise guru Mylène Brock’s CoreGalore method, the Overdrive.com e-book service, as well as the Arts Integration Solutions education program. Involved in video production since his college days in the 1970s, Buckley joined the Video Art Network in the 1980s as an audio engineer and video producer. 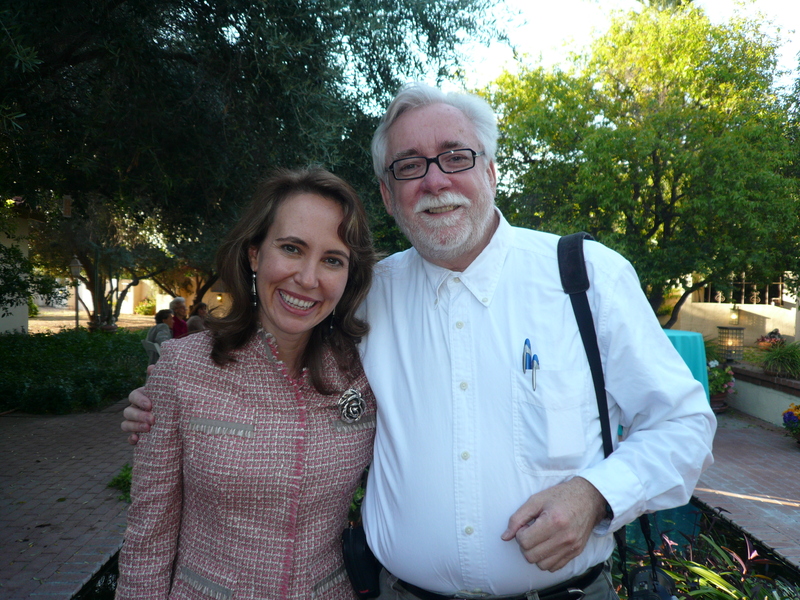 In 2002, he founded the Tucson Citizen newspaper’s multimedia division and served as the multimedia manager/editor until the paper’s close in May, 2009. In June 2009 he created Daniel Buckley Productions, serving Arizona with video and documentary services and audio production. In 1990 he received the Best of Gannett Award in project writing for a series on music in America, becoming the first arts writer to win in that category’s history. In 2008 he took second place in the Associated Press Arizona managing editors competition for his multimedia piece on Tucson’s historic El Casino Ballroom. In 2000 he was named Outstanding Media Person by the Hispanic Cultural Showcase. In 2009 Buckley was nominated for a Tucson Pima Arts Council (TPAC) Lumie Lifetime Achievement Award for his support of the arts in Tucson. In 2010 he was one of 25 arts professionals recognized for their lifetime of work by TPAC on the occasion of its 25th anniversary. In 2013 Buckley was nominated for the Arizona Governor’s Arts Award. 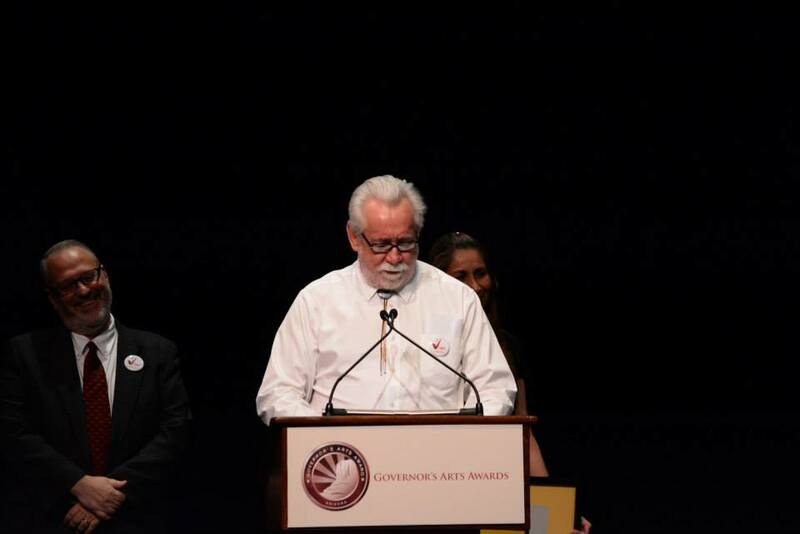 In 2014 he was again nominated for the Arizona Goveror’s Arts Award, this time winning in the Artist of the Year category. Early 2014 saw the creation of short film about the Ronstadt Family and its impact on Arizona music, politics, industry, trade and more. The film was produced for Tucson’s Pima Council on Aging organization as a tribute to the family for its long standing community service to Southern Arizona. 2014 also saw Buckley chosen for found high-profile projects. 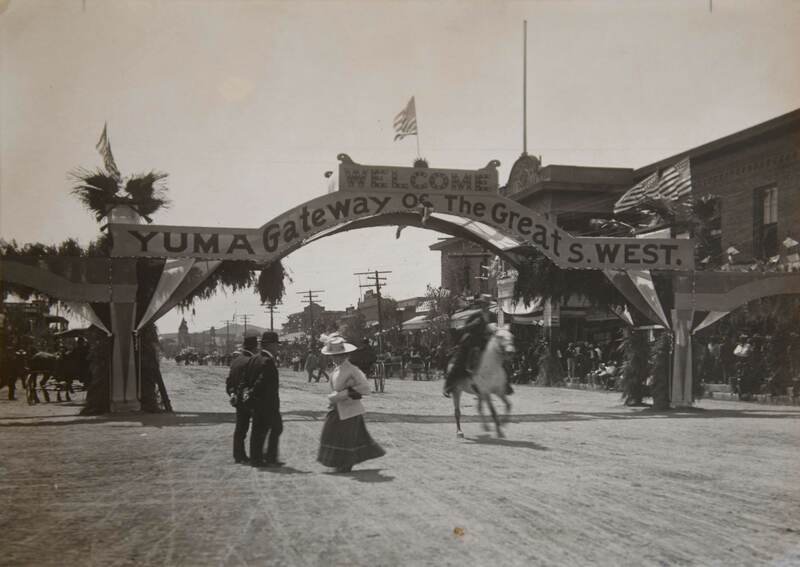 The first, with the Arizona Historical Society, sent Buckley on a journey to AHS locations throughout Arizona to photograph the 150 artifects in its collection that best tell the story of Arizona. 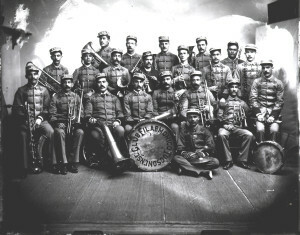 The photos, taken for the occasion of AHS’ 150th birthday celebration, were published in the fall of 2014. Samples from the Arizona State Museum pottery display. 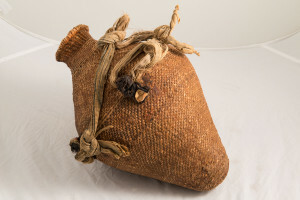 A new project with the Arizona State Museum found Buckley working to create training videos for archaeologists in war-torn regions to show how to collect and catalog artifacts for study. Daniel Buckley with Congresswoman Gabrielle Giffords in 2009. Shortly thereafter Buckley was chosen by Tucson’s January 8 Foundation for an ongoing project interviewing those who were on hand the day of the assassination attempt on Congresswoman Gabrielle Giffords. This collection of historical personal accounts will serve a number of resulting projects including museum exhibitions, online presentations and possibly a documentary on the topic. In late summer Buckley began work with folks promoting the Anza Trail as a historic destination. The trail connected Spanish missions in Sonora, Mexico and Southern Arizona with missions in San Francisco California during the Spanish colonial period, and became the footprint for numerous westward migrations since. Buckley is widely recognized as one of the foremost chroniclers of the mariachi movement in Tucson and throughout the United States, as well as music from numerous Native American, Latin American and world music traditions. He recorded Armenian oud player Aram Gulezian, and Apache violin maker Chesley Goseyun Wilson. The CD of Wilson Buckley recorded was later used in a book of Apache games and songs. Since the mid-1990s through 2013 Buckley was a music critic for Stereophile Magazine, specializing in contemporary classical music and world music. In addition he was a frequent contributor to Arizona Bilingual Magazine. He has written program notes for the Tucson Symphony Orchestra, done pre- show talks for the Tucson Winter Chamber Music Festival and UApresents, lectured at the Grammys in the Schools program, emceed the Ronstadt Family Musical Tribute concert, emceed Linda Ronstadt’s “Unforgettable Riddle” (2001) concert, contributed narration for the 2010 San Jose Mariachi Festival’s tribute to the soldaderas (female soldiers of the Mexican revolution), written biographical materials for symphony tours by singer Linda Ronstadt and violinist Mark O’Connor, and been a frequent judge in numerous music competitions. In addition he was president of the Central Arts Collective from 1980-1985, and served on the board of the Arizona Composers Forum in the mid-1980s. Buckley’s musical compositions include music and soundscapes for theater, dance, fashion shows, video, film and concert venues. He was also one of Arizona’s foremost performance artists in the 1980s. During the 1980s Buckley was one of a rotating group of jazz hosts at Public Radio station KUAT, and hosted a radio show of experimental music for community radio station KXCI.